For the lover of historical fiction and romance comes this gorgeous Allende novel set in beautiful San Francisco, complete with mansions overlooking the Golden Gate and the quirky activist residents of an older adult community. With all the sweep of multiple generations, many continents and historical events, this book makes a perfect gift. "The Japanese Lover is animated by the same lush spirit that has sold 65 million copies of her books around the world... a novel that’s a pleasure to recommend." "Poignant, powerful ...a timeless world without 'tomorrow or yesterday.'" "Monumental...A multi-generational epic of fate, war, and enduring love." "[A] fairy tale of a novel...As in all of Allende's fiction, we find a large, colorful cast of characters..."
"Like the incomparable storyteller she is, Isabel Allende does not release us from the novel's spell until the last pages, with a brief but bittersweet hint of her famed magical realism." "[An] epic novel from a master of the form." "Allende's engrossing narrative spans 70 years of tumultuous world history, but the powerful message you'll take away is that love -- all kinds of love -- will take root and endure under the most harrowing conditions." "The Japanese Lover is a poetic and profound meditation on the power of love: a common theme, sure, but in Allende's capable hands this trope is made utterly new." "Themes of lasting passion, friendship, reflections in old age, and how people react to challenging circumstances all feature in Allende’s newest saga, which moves from modern San Francisco back to the traumatic WWII years. As always, her lively storytelling pulls readers into her characters’ lives immediately… the story has many heart felt moments, and readers will be lining up for it." "Allende, as always, gives progress and hopeful spirits their due." 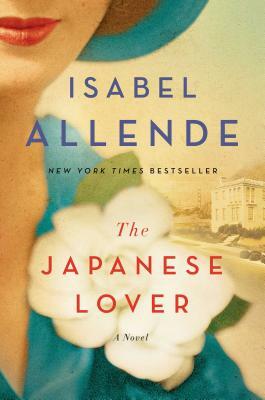 "Isabel Allende's oeuvre ranges widely...but The Japanese Lover, her lushly detailed new work, may be her most expansive yet..."
"Allende...delivers a poignant story of race and aging, loss and reconciliation." "[A] lovely, easy-to-read novel...Like a perfect onion, the book slowly reveals the secrets of Alma’s past, which primarily revolves around a secret, decades-long affair with a Japanese gardener." "The latest from the writer who's been called Gabriel Garcia Marquez's successor. It's a love story that covers a lot of ground, from Nazi-occupied Poland to present-day San Francisco. You won’t want to put it down." 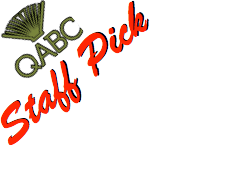 "...if you're a [Gabriel Garcia Marquez] fan, this one's for you." "...rich with lyrical prose and compelling plot turns. This is Allende at her very best." "[Allende] is a dazzling storyteller, with a wry, sometimes dark, wit and a great eye for society's changing fashions. She may be writing a fairy tale for adults, but like the best of the genre, it's almost irresistible." With end-of-life issues looming over Alma, “The Japanese Lover” can’t be called lighthearted. But it’s often wryly funny, and always an absorbing argument for the power of love.